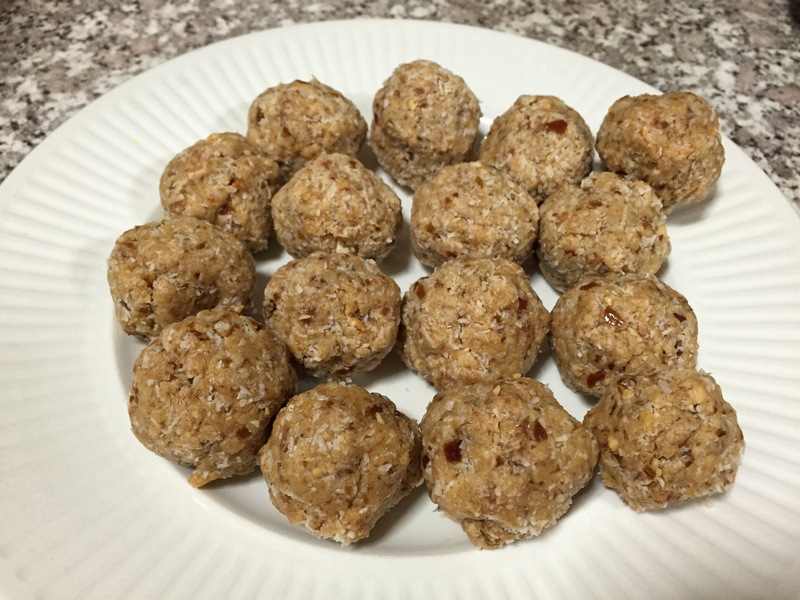 Balls, protein balls, bliss balls, whatever you want to call them, I’m OBSESSED! Turns out they’re really easy to make, healthy and very yummy! It takes about 10 minutes to make and can keep in the fridge for up to 2 weeks (they’ll be long gone before then). 1. Start off by roughly cutting the dates and removing the stone. 2. Throw all the dry ingredients into a food processor or Nutri-Bullet (the food processor is easier and faster). 3. After it has blended for a while start adding some olive oil. Whiz again and add some more oil. In total I add about 2- 3 tablespoons of oil. I find olive oil tastes and works better with this recipe. 4. Once blended and mixed start scooping out small handfuls and roll into balls. 5. Freeze for about 20 minutes then move into the refrigerator.